Reflection: A Thought on Little Girls This morning some cruel twist of fate had me awake at 3:00am. No matter how much I tried to drift back off to the dreamland I could not. Perhaps it was the fact that I was in my home alone, as my fiancé and my daughter had been away visiting family, or perhaps it was because my upstairs neighbors have a dog that is the epitome of annoying. It’s one of those yippy ones that have a complete inability to stop barking. No matter the case, I was awake. Instead of continuing the futile attempt at sleep, which would only serve to aggravate me more, I decided to get out of bed and start my day. First and foremost, I needed coffee. I have been attempting, unsuccessfully I might add, to decrease my caffeine intake however that was out of the question at 3:15am. After drinking my liquid addiction, I poured myself a bowl of Honey Comb cereal and promptly plopped down on my couch with my kindle to check my email. As the trusty little thing loaded, I was greeted first and foremost by pictures. 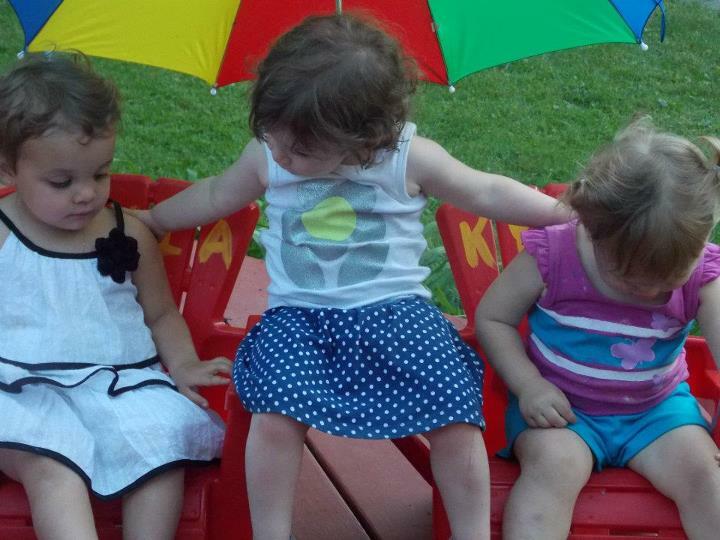 I had been reviewing my facebook, which of course is filled to the brim with pictures of my daughter and nieces. I decided I would tell you all a little bit about them. My first niece is Faith. She is a beautiful girl who is turning four in two days. Faith is a special girl, and a wonderful child. 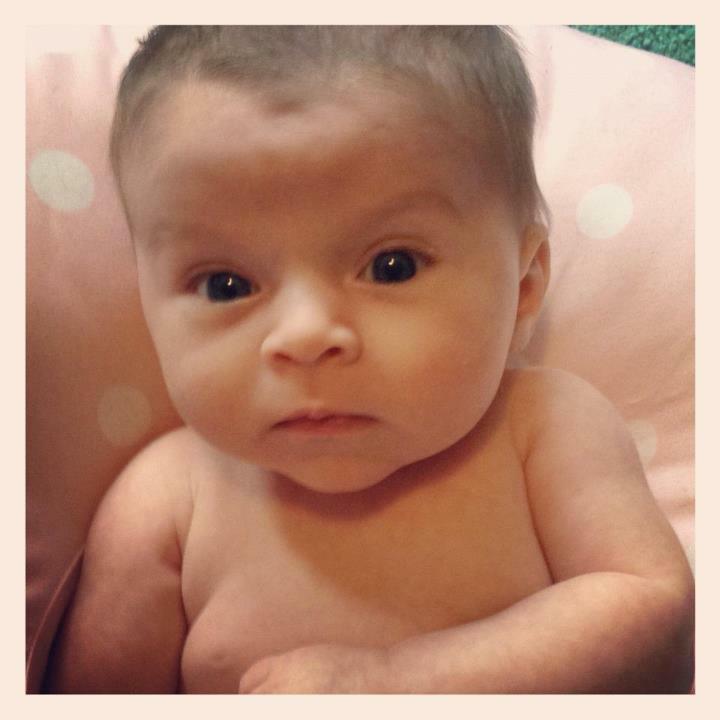 She was born with a rare heart defect, and as such needed open heart surgery when she was only a week old. The doctors said she would need them all throughout her life. She was due for another one at 6 months, but through some amazing miracle she has lasted 4 years. Although she is going in for a procedure in a few weeks, it is not known whether she will need to go for another open heart just yet. She has defied expectations. Children are pretty awesome like that. Faith also is an award winning big sister. Her little sister is a few months younger than my own daughter, and goes by Becky. Now, unlike Faith, Becky is mom’s best friend. I suppose she inherits that from her uncle, he is all about his mother! Becky, much like Kayla, loves to eat. I remember heading over there for lunch, and that child mowed down on her food like someone was trying to steal it! It was truly adorable. You would never guess her apatite by her appearance, she is a peanut. The two of them are a absolutely beautiful pair. Their parents are very lucky. Out of respect for her mother, I did not post a picture of them here. Now the next one born to fulfill the female tradition was my own daughter, Kayla, who was born twenty days after Alana on April 23rd, 2010. My daughter was born premature, but was healthy. Her lungs had developed, and she had no foreseeable issues. However, like most premature newborns, she had jaundice. Jaundice does not pose a threat to infants, unless its caused by an underlying medical condition, which thankfully was not the case with Kayla. Despite that, we were new parents, and we were terrified. In the beginning, we only knew that our child needed to stay under a UV light and that we couldn’t hold her was not a fun experience. We ended having to be transferred to another hospital just under two hours away that had a NICU (Neonatal Intensive Care Unit). It was terrifying. We were there for six days, and it is not an experience I wish to repeat. Once we took her home, the real fun began. There were now two newborns in our family, Alana and Kayla. These two, though very different, were insanely good. At a few weeks old, kayla was already pretty much sleeping through the night. How many of you guys can claim that? It was like hitting the damn lottery! At five weeks, we would put her to bed at 8pm, and she would wake up at 7am. It was incredible! I was probably the most well rested new mother they had ever seen. She didn’t cry too much, but that didn’t mean I didn’t call my own mom crying when she did. It was very stressful being a new mother! It did not help that I lived in another state. Even now, I look back to how nervous I was, how carefully I handled Kayla as though she would break. I remembered how I used to panic when she would sleep passed the 4 hours the doctors recommended and thought about waking her up. Thankfully, my family had instilled the firm words of “Never wake a sleeping baby” into my head, otherwise Kayla probably would not have learned to sleep through the night. All of these memories paraded through my mind as I browsed through hundreds of photos. Through the ups and downs, time flew by. 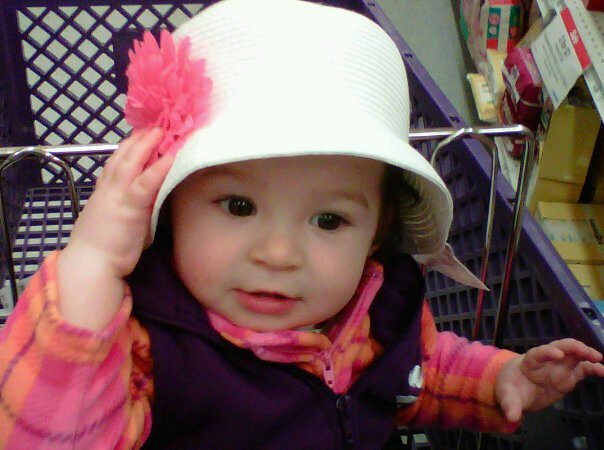 Before I knew it, Kayla was three months old, then she was six and had a new baby cousin. This brings us to my third niece, Kylie. Now this child was a little different than Kayla and Alana. Even just after birth, this child had a set of lungs that identified her as a future powerhouse diva. She hit notes that I swear did not even make sound! They just made the hairs on the back of your neck stand on edge. This child has big blue eyes, dirty blonde hair, and an award winning smile. She will be two in October, and it just so happens that her birthday is also on the day of my wedding. Its going to be an action packed October! Alana, Kayla, and Kylie; the three little pigs, or stooges, or whatever threes group you wish to identify them with. When you get them together, hilarity and chaos ensue. Despite age, Alana is the smallest, a little peanut compared to the others. Don’t let her size fool you, she’s as feisty as her mother and can probably knock out anyone who gets near her flailing arms as she dances. Kayla is tallest, and the darkest. She has my complexion, thankfully, with her tan skin, large dark eyes, and dark hair. She is a little more reserved than the others, and has a soft little voice, until you make her mad. She can be a bit vengeful, which her father swears she gets from me. I don’t see it; I am a saint I swear! Kylie is in the middle, but this child is solid. She is the cutest little brute you would ever meet. After she knocks someone to the ground, she gives you The Lips; the big, puckering lips that you just can’t stay mad at. Her grandfather, dubbed Grampy is especially susceptible to them. This little trio will rule this world, I promise you. Within the past few months, our little trio has actually grown. There is a new one, the adorable Brenna. Although her personality is still evolving, she is showing the signs of being like her sister, Alana. She is a ham, first of all. It must be my cousins influence, but Alana and Brenna seem to sense a camera and pose beautifully for it. My daughter has the opposite sense. She senses the camera and scowls so all I get is a picture that is clearly telling me to go to the bad place. Brenna is in that stage where she is still making the adorable little coos that melt your heart. She has big round eyes and teeny weeny little lips, and chubby little legs that you just love. I don’t know about anyone else, but I seriously think my family is good at making cute babies. I might be a little biased though… what do you guys think? I loved every word of this……I love that each of you have beautiful little princesses that look EXACTLY how I remember each of you looking as babies! WHat a special little unit they have become too….you are all so lucky to have eachother!